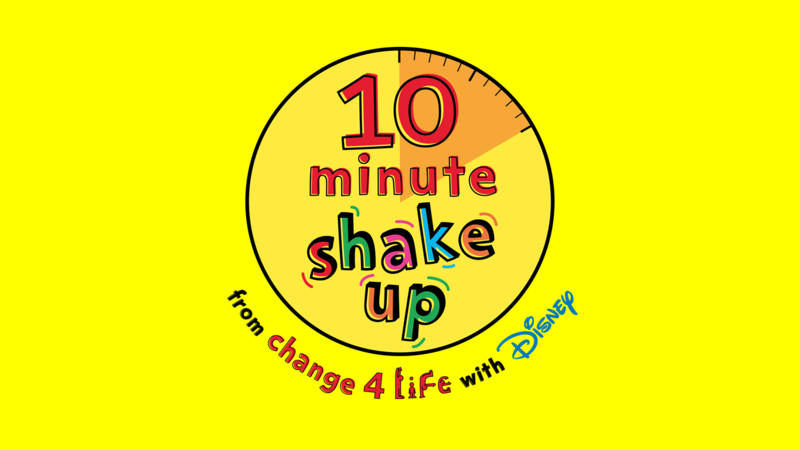 This week we launched the second annual 10 Minute shake up campaign, which aims quite simply to get our children moving more. I’m delighted that we’re again working in partnership with Disney, who will help us capture the imagination of thousands of young people across the country to get them active. The launch follows on from the fantastic success of last year’s campaign, which resulted in an extra 40,000 children reaching the recommended 60 minutes of activity per day. Campaigns are an important and valuable tool in our mission to get kids more active, and as a nation we must succeed, as currently just 21% of boys and 16% of girls reach the daily level of activity recommended by the Chief Medical Officer. Physical inactivity, combined with poor diet, means that levels of childhood obesity are unacceptably high. Over a fifth of 4-5 year olds are overweight or obese and, worryingly, by the age of 10-11 this rises to one in three children. So the question is: how do we make exercise more appealing and manageable for children and their parents? This is where 10 Minute Shake Up - 10 minute bursts of exercise - can make an impact. All of our campaigns are evidence based and this is no different. The evidence clearly demonstrates that 10 minutes or more of moderate to vigorous activity performed several times a day - to achieve at least 60 minutes in total - is sufficient to maintain good fitness and health overall. This year, the campaign allows children to choose to be part of one of four Disney teams (Frozen, Toy Story, Monsters or Big Hero 6) and take part in a range of fun 10-minute games to help them reach the recommended amount of physical activity. Kids can help their team by doing as many Shake Ups as they can every day. In addition to the new team element, this year there will also be face-to-face events taking place across the country, offering families tips, ideas and demonstrations on how easy and fun 10 minute bursts of activity can be. We’ll keep momentum going with an online hub called ‘The Shake Up Zone’ which provides inspiration and exclusive ideas for games and activities to keep children active throughout the summer. While we expect to see many families sign up themselves and receive their 10 Minute Shake Up pack, we’ve also sent useful resources to schools which link with the physical education curriculum. I hope you have also seen our interactive video routine made available to schools as part of the campaign launch, featuring Ricky Wilson from The Kaiser Chiefs and The Voice taking kids through a range of Disney themed exercises. The benefits of activity to physical health are clear and compelling but we should also focus on the benefits to the general wellbeing of our children. To coincide with the campaign launch we published an evidence review carried out by British Heart Foundation researchers at the University of Oxford and Loughborough University. It points to strong evidence that participation in physical activity and sport has a positive impact on children’s social skills and self-esteem. 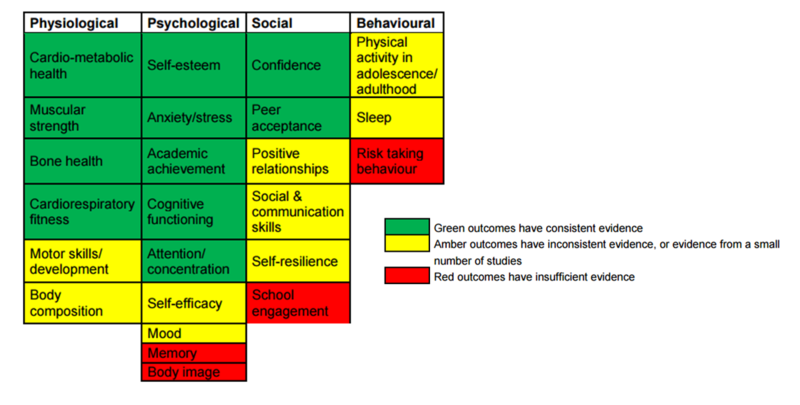 The review has also shown that there are social benefits for children as a result of physical activity which include increased confidence and peer acceptance, as well as a link to friendship. In school-aged children, physical activity can lead to better academic achievement, increased attention span and improved behaviour. It is so important to remember that healthy children become healthy adults so the physical, social and emotional benefits of being active in childhood will set our children up for a healthier future. So this summer, let’s get our kids up and active!